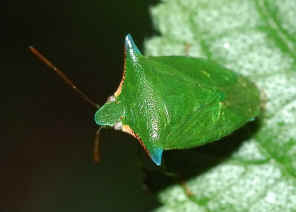 Blue-spined Bug - Cuspicona sp. 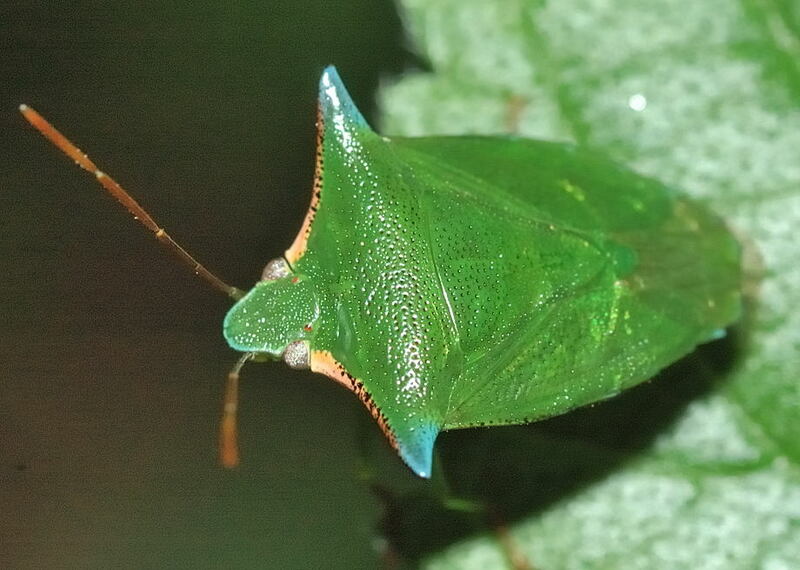 This page contains pictures and information about Blue-spined Bugs that we found in the Brisbane area, Queensland, Australia. We found this one in near Daisy Hill (Ford Road Conservation Area) on Lantana plant which has the blue spiny shoulder. There are the creamy-white edges on shoulder near the head. 1. Genus Cuspicona Dallas, 1851 - Australian Biological Resources Study, Department of the Environment and Heritage, Australia 2005. 2. Plant-feeding and Other Bugs (Hemiptera) of South Australia. Heteroptera-Part II - Gross, G.F. (1976). Adelaide: A.B. James, p481.